Sara Warner (Ph.D., Comparative Literature, Rutgers) is Associate Professor of Performing and Media Arts. She is a core faculty member in the Feminist, Gender, and Sexual Studies Program and an affiliate faculty member in LGBTQ Studies, Africana Studies, American Studies, and Visual Studies. Her book, Acts of Gaiety: LGBT Performance and the Politics of Pleasure (University of Michigan Press 2012), received the Outstanding Book Award from the Association of Theater in Higher Education (ATHE), an Honorable Mention for the Barnard Hewitt Award from the American Society for Theatre Research (ASTR), and was named a Lambda Literary Award finalist. Sara has published widely in journals and anthologies on theater and performance studies, queer aesthetics, second wave feminism, politics, prisons, and academic labor. Her cultural criticism can be found in media outlets such as Time Magazine and Huffington Post. 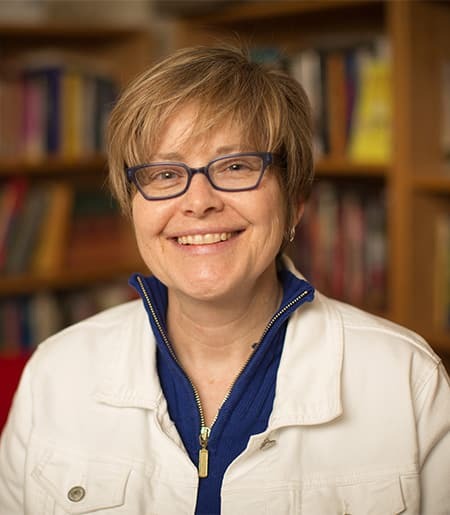 She is the Associate Editor of the book series Triangulations: Lesbian/Gay/Queer Theater/Drama/Performance at the University of Michigan Press. In 2016, Sara was named a Stephen H. Weiss Junior Fellow, Cornell's highest teaching award for a recently tenured faculty member. She is currently an Engaged Faculty Fellow, collaborating with Civic Ensemble theater company and a Cornell climatologist to create a Living Newspaper based on story circles and interviews with members of the local community that explores the human impact of global warming on the Finger Lakes region. Sara appears in performance artist Leeny Sack's newest piece, Therapy as Performance, and is sponsoring the Frank T. Rhodes Professor residency of Rhodessa Jones, founder and director of the Medea Project: Theatre for Incarcerated Women, who will be in residence the week of March 18, 2018. Active in a number of local and national organizations, Sara serves on the Cornell Humanities Council, the Board of Directors of the Arch and Bruce Brown Foundation and the Cherry Arts Space. In previous years, Sara has served on the Executive Board of the Center for Lesbian and Gay Studies (CLAGS), as President of the Women and Theatre Program (WTP), as Secretary of the Association for Theatre in Higher Education (ATHE), and as the Drama Division Delegate of the Modern Language Association (MLA). I study the art of activism. In my research I attempt to articulate, through close readings of dramatic literature and live performances, archival research, and theoretical reflection, a series of questions concerning bodies and the modes of attachment that bind them into various forms of publics and counterpublics. Across a variety of genres and performative contexts, I examine the forces that mobilize and marshal individuals into constituencies and communities, audiences and electorates. Of particular interest to me are criminal intimacies and fugitive societies: the kinds of alliances that are branded as non-normative (i.e., alternative, aberrant, queer), but which offer productive ways to illuminate, explicate, and trouble ideas about emotions, politics, and performance. To make sense of this generative relationship between the queer and the performative, I take as my focus illegitimate theatrical forms (melodrama, camp) and bastardized modes of expression (agit-prop, performance art) whose illicit status stems, in part, from their excessive sentimentality; illegal performances that provoke moral outrage (burlesque, prostitution, homosexual acts); unlawful assemblages by political extremists (terrorist cells, riots); speech acts (manifestos, declarations, coming out narratives); and militant modes of protest (guerrilla theater, zap actions).